Fiat will launch the new Punto Evo for the Indian market on August 8. 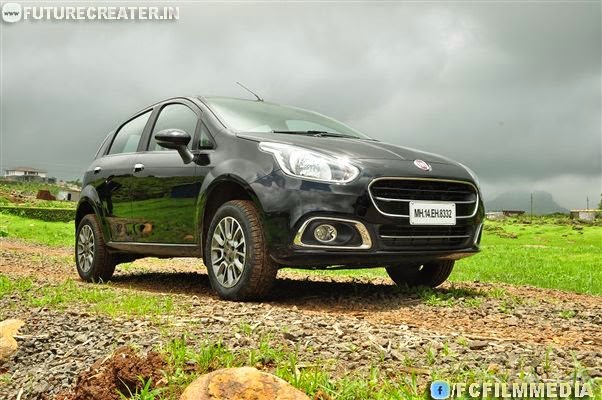 The car is the facelifted version of the Punto hatchback and gets cosmetic changes setting it apart from the outgoing car. The Punto Evo is updated on the lines of the Avventura concept that was showcased at the 2014 Auto Expo. The fascia sports a revised grille and wrap-around headlamps with the front bumper modified to house the new fog lamps. The side profile is the same as the present model while there are changes the company has made to the rear of the vehicle. The tail lamps are revised with light guides while the bumper gets a chrome strip with integrated reflectors. The vehicle's interiors are same as that of the face lifted Linea. It gets a revised dashboard and the instrument cluster is redesigned to give it a more modern appeal. The Fiat Punto Evo is available in both petrol and diesel options. The car is powered by the same set of engines currently powering the Punto. The two petrol variants will be powered by a 1.2-litre unit that produces 67bhp of power and the 1.4-litre mill that churns out 89bhp of power. The oil-burner will be powered by the 1.3-litre MultiJet engine which will be available in two states of tune. The engine in its standard guise will produce 75bhp of power while the tuned up version will churn out 90bhp. All these engines will send power to the front wheels through a five-speed manual transmission. The Fiat Punto Evo has been spied in our country many times before and now the manufacturer will finally launch it for the Indian market. Deliveries are expected to begin immediately after the car’s launch as some of the dealerships have already received the initial lot of cars. The Punto Evo will go up against the face lifted Volkswagen Polo and the upcoming new Hyundai i20 in the B+ segment of cars in India.